I am embarking on a new phase of Gather, one that I had intended to start from the beginning but along the way, it became other things – wonderful, beautiful things, but diversions from my ultimate goals. I love nothing more than driving down a winding back road and am grateful for each of the opportunities that have lead me here and all the things I wouldn’t have been able to see had I not explored other directions. In stepping back for the past year and refining and editing what I really wanted to pursue and in looking for shared office space for my husband’s peppermint bark business as well as a place to house the goods from my online shop, we recognized the need for a space like what we had created with the original Gather: a cozy space that encourages community, is collaborative and feels like a home, filled with plants and light and like-minded individuals who are able to put their heads down and work when they need to but also to pop up and chat when they want to. This really hit home after doing a year and a half of accidental research, when looking for our own small office we kept seeing the same thing: soulless spaces that weren’t resonating, none of them were Gather. We actually didn’t intend to embark on another big venture, instead we were planning on just ramping Gather up quietly behind the scenes but in all that looking for space we happened upon one that was only a few blocks from our own home and in the walkable downtown core of Cary, a community that we had truly fallen in love with after the first Gather shop here 4 or 5 years ago, and where we had moved just eight months prior. My husband and I, despite all appearances, are actually quite risk-averse, and after extensive pro-con lists, deliberating, manifesting, praying and every other way you can think of decision making, recognized that this space was really a great option for us if we could get past the initial hesitation of jumping back into a new thing. To me, the heart of my business has always been in facilitating and helping others, and in creating community and conversations that spotlight others, ideas and design. The shop, while a portion, was only a piece of it. In addition, I recognized a strong need to be more behind the scenes and less of a day to day retail shop but more of a private space that is only public facing occasionally and a space where I could continue to host classes and events but also a place where we could work out of quietly. This new space, which we are calling Gather-Studios is only a few blocks from our home and right in the walkable core of downtown Cary and like the original Gather space it also has a back garden area (and also like the original it needs to be spruced up). I would love to offer this back garden space to an emerging flower farmer. I have other plans too, but for now it will be office space, an occasional showroom and classroom space. There are a handful of office spaces available in the building and I have already leased out a few. If you are looking for a private office/studio space to rent, please get in touch. I am looking to get these filled asap and once they are gone, they won’t be available again for at least a year. Gather-Studios, a new private work space in downtown Cary is currently looking for tenants. There are a limited amount of private offices available for 1 year lease terms. 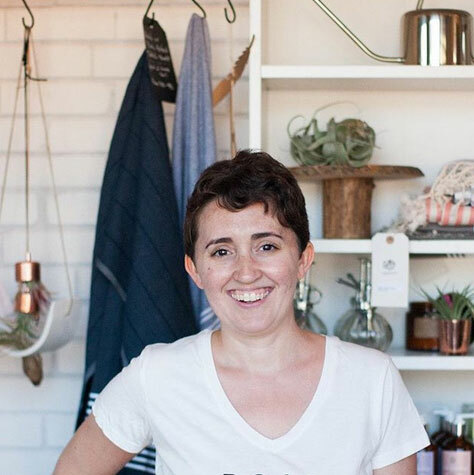 Ideal tenants are creative professionals who are looking for a quiet, collaborative community environment, curated by Michelle Smith of Gather Goods Co, who alongside her husband The Apothecary’s Kitchen will also have office space there. Photographers, Wellness Practitioners, Makers and Artists, and Design Professionals are a great fit, but you aren’t required to be one to lease space. In addition, Michelle will be hosting classes and private events in the front space as well as in the back garden patio. For more information please visit https://shop.gathergoodsco.com/pages/studios and email Michelle at info@gathernc.com. © Copyright 2018. Gather Goods Co. All Rights Reserved.